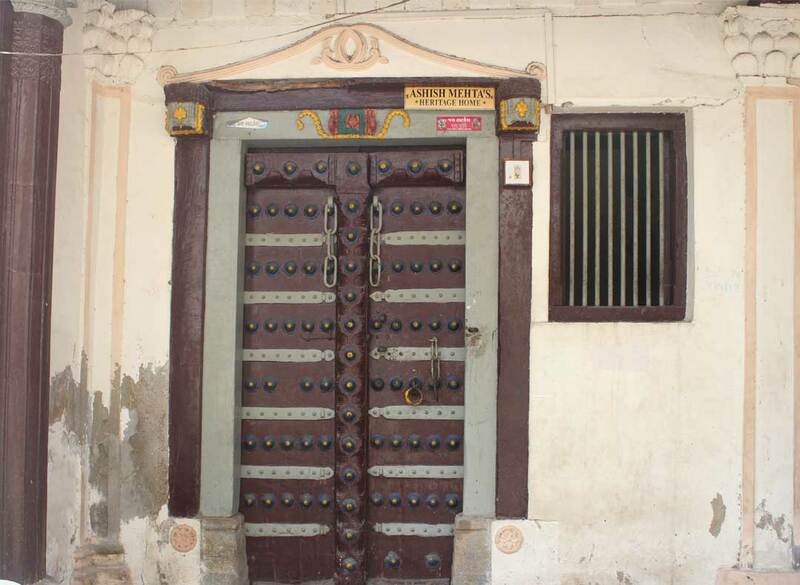 Ashish Mehta`s heritage home is located in Moto Suthar Wado, Kadia 3. It`s a home situated on corner with three sides open. This around 200 years old home houses 5th generation as of now. 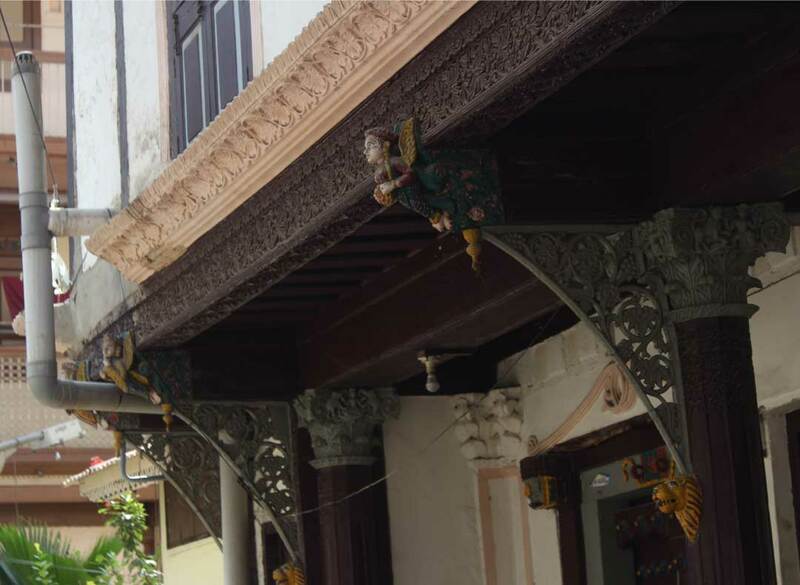 This home has amazing wood carvings with religious elements into it having Italian Marble flooring and was designed as per Vastu rules. It has five pillars and 5 gates at entry point which opens in same room. 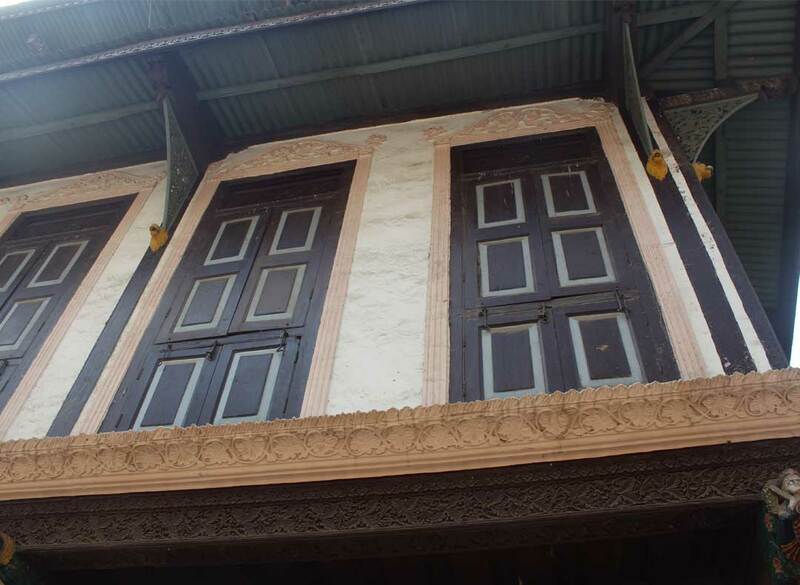 The home has 3 rooms on top for Home Stay and till now many foreign visitors have stayed here to explore and enjoy local heritage. Current owner of Home, Mr. Ashish Mehta is the founder of “Meet Me at KHADIA” and arranges Heritage Photo Walks. 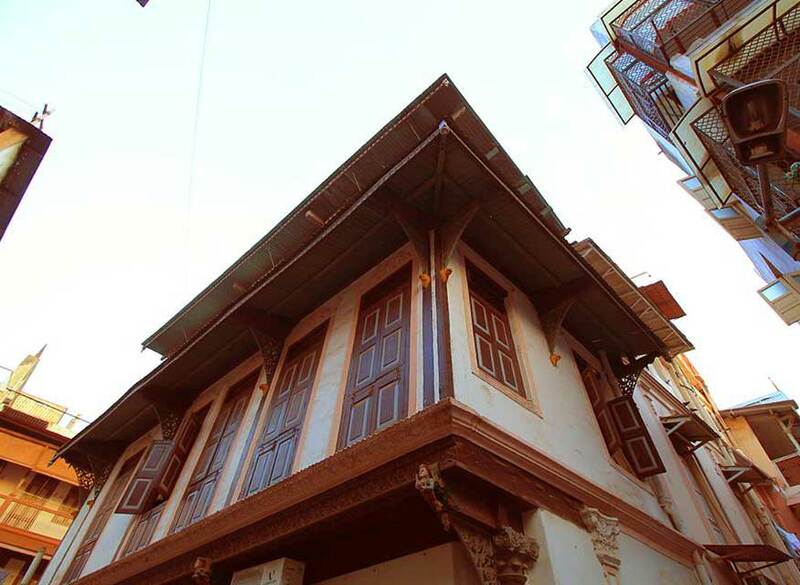 This building has been restored under the guidance of Ahmedabad Heritage Center, in the framework of a collaborative project between the Ahmedabad Municipal Corporation and Embassy of France in India, for the revitalization of the walled city of Ahmedabad.